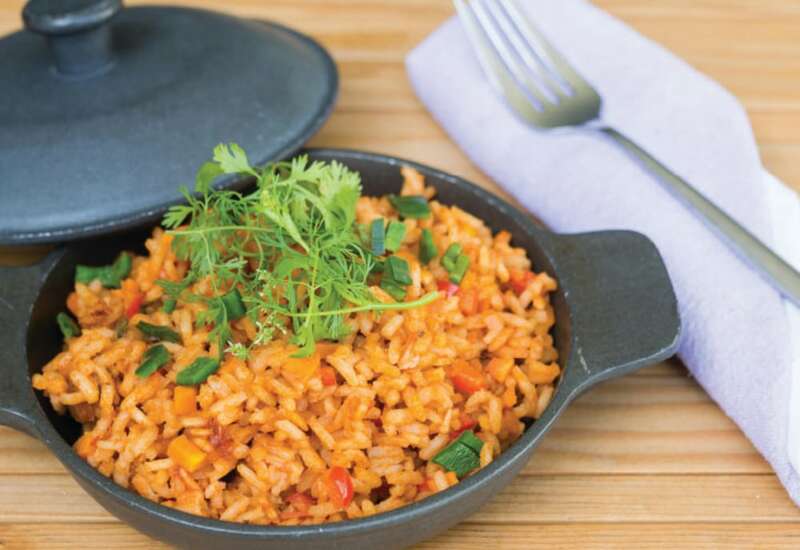 Rice has become very popular in Mexico in recent years and is a staple in salty dishes, desserts, and breads. This rice is full of flavor and fresh corn, peas, bell peppers, and carrots. Serve it a side for your main dishes, with fried plantains, soup, or eat it on its own! Want a healthier, toothier rice version? Substitute brown rice instead of white and cook for 20 minutes. Per Serving: 192 calories; 11g fat; 22.3g carbohydrates; 3g protein; 0mg cholesterol; 415mg sodium. I’m not sure what I was doing wrong with this recipe, but this one did not come out well at all. I had about 2.5x the amount of tomato/onion mixture than I needed. 1 tablespoon of salt was way too much. It just did not work. I did sub red peppers for the carrots and peas.